All Natural: No chemicals are added to crops during processing. Taste and smell of freshly harvested alfalfa-timothy hay: Our process preserves nutrients and the stay fresh re-sealable bag guards freshness. 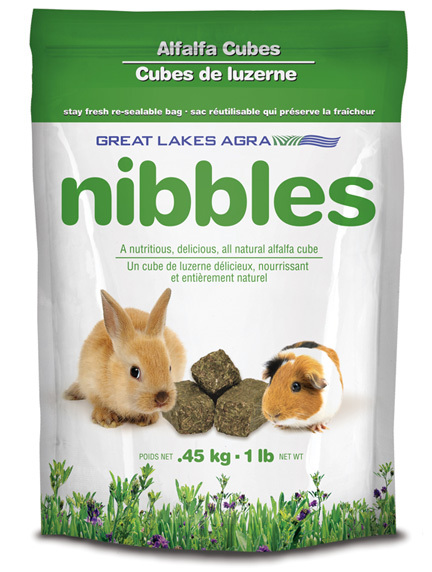 Chewy Cubes composition: Encourages chewing to keep continually growing teeth trim. Virtually mould and dust free: Promoting good respiratory healthy. 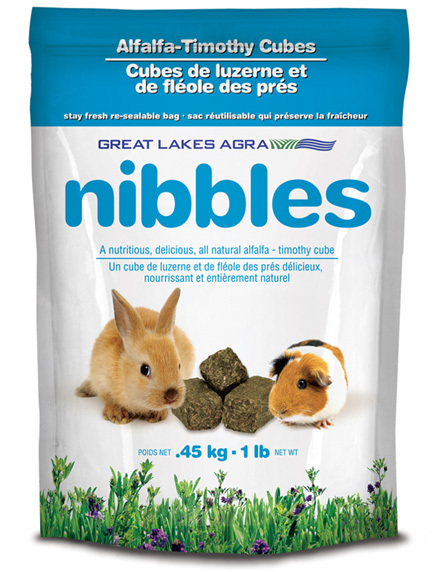 The quantity of Great Lakes Agra forage cubes fed should be balanced against the overall requirements of a healthy diet, as directed by your animal health provider.